This page provides answers to most frequently asked questions and provides an overview of Festival logistics and content. Links to more detailed information are included. The Festival will take place on Friday February 1 and Saturday February 2, 2019, 8:00 a.m. – 5:30 p.m., with registration 8:00 – 8:40 a.m., a group meeting in the sanctuary beginning at 8:40 a.m., and the first workshop beginning at 9:45 on Friday and 9:15 on Saturday. Festival days conclude with evening Concerts on both days from 7:00 p.m. – 9:00 p.m. There may also be optional activities on Thursday January 31 for example, there will be Pre-Festival Classes led by the Festival Guest Artists. For more information, you can view the entire Festival Schedule as well as specific Workshop Descriptions. What is the style of the Festival, for example, what is provided and who is it geared to? The Festival is designed to be instructional as well as entertaining. Instructional workshops are provided on both days for all levels of players, from Absolute Beginner through to Advanced, for both Hammered and Mountain Dulcimers. This year we are offering a Children’s Mountain Dulcimer Workshop . There are often workshops for other instruments too. Entertainment is in the form of an evening concert on both Festival days, performances by the Colorado Dulcimer Orchestra, as well as Jam sessions. The venue is comfortable and cozy, and the overall atmosphere is friendly and fun, with ample opportunities to converse with local instructors as well as the guest artists. What is the Festival location? Littleton is part of the Denver Greater Metro area, located close to major highways and the airport so it’s easily accessible. It’s also located close to many excellent hotels. For more information, see Venue. The Venue page also includes a link so you can get directions from the airport or wherever you’re coming from. Who are this year’s Guest Artists? We’re also pleased to welcome back a couple of our “Honorary Coloradans,” Steve Eulberg (Mountain and Hammered Dulcimer) and Erin Mae (Mountain Dulcimer). Performers and instructors also include our local Coloradans Tina Gugeler, Malacha Hall, Dianne Jeffries, Judy Jones and Ellen Baranowski. Three of our local instructors are National Champions, including back-to-back First Place winners. For more information, see Performers & Instructors. What is the registration fee? Are there other fees? The registration fee includes two evening concert tickets, one ticket for each evening (Friday and Saturday nights). When you register, you also have the opportunity to rent a hammered dulcimer or mountain dulcimer ($30 for both days), reserve on-site meals for one or both days (lunch: $14.50 and/or dinner: $17.00; meat or vegetarian), and purchase additional evening concert tickets (Adult: $15, Student: $10). These items are all paid for as part of the registration process—either through PayPal or check. For more information, see Registration Info. Beginning September 1, you can register by clicking on the green “Register Now” button located on the right side of every page on our website (https://coloradodulcimerfestival.com/). Then after you choose your payment method (PayPal or check), the Registration Form will appear on which you can select your registration type, purchase additional evening concert tickets, reserve instrument rentals, and reserve on-site meals. If you’re paying by PayPal, after you click on the Registration Form’s Submit button, you’ll be transferred to PayPal to authorize payment—either through your existing PayPal account or as a one-time credit card payment. When you authorize payment, PayPal will send you back to our website for a confirmation message. Lastly, you’ll then receive an email from PayPal confirming your payment, and an email from us confirming your registration information. If you prefer to pay by check, after you click on the Registration Form’s Submit button, you’ll receive a confirmation message and then an email from us containing all of your registration information. Please check the information in the email and, if correct, print out the email and mail the printout with your check to the address in the email. NOTE: Online registration closes 2 weeks before the Festival. For the 2019 Festival, online registration will end Tuesday, January 22, 2019, at midnight. After that, you can still register at the door on either day of the Festival. Is there lodging nearby? Is a discounted rate available? A block of reserved rooms at a discounted rate is available at a hotel near the Festival venue. To get the discounted rate, you must make your reservation by a specific date prior to Festival start. More information is available at Lodging. Are on-site meals available during Festival days? Yes, on-site lunch and dinner (meat or vegetarian) will be served both days for an additional fee. The meals (including beverages and desserts) are specially catered for us and are delicious! If you are interested in these meals, it is recommended that you sign up for them as part of your online/advanced registration. A very limited number of meals will be available for on-site registrants. Otherwise, there are many restaurants in the surrounding area if you choose to go off-site. More information is available at Meals. Can I attend just one day instead of the entire festival? Yes, single-day registrations are available if you can’t attend one of the days. The fee is $70. For more information, see Registration Info. When are the concerts, and what is the cost of attending? Evening concerts occur on both days of the Festival (Friday and Saturday) from 7:00 p.m. – 9:00 p.m. Performers in the concerts are Festival instructors and Guest Artists. Your Festival registration includes one ticket for each concert. Additional tickets can be purchased as part of the registration process or at the door each night (adults: $15, children and students: $10). For more information, see Concerts. Will there be any jams? Absolutely! There will be a variety of jams for all level players, from Beginner to Advanced. And if you’ve never participated in a jam, there will be a “Jams for Beginner” workshop so you can learn the basics. Sheet music for commonly-played jam tunes is provided here as downloads (in pdf file format) so you can practice in advance. Other music specifically chosen for this year’s Festival will be posted when available. For more information, see Jam Sessions and Jam Tunes & Resources. What other activities will be going on in the Denver area? If you are bringing a guest who will not be attending the Festival, or if you will be spending some extra time in the area, there are lots of activities in the Denver area. For a list, see Things to Do. BUT don’t forget that during the Festival there’s a concert each night and a Friday evening Jam (after the concert). Your tickets for the concerts are included in your Registration fee; additional tickets for your guest can be purchased either at the door or as part of the Registration Form. Who is hosting the Festival? The Festival is hosted by Colorado Dulcimer Festival (a non-profit corporation), and is being organized and staffed by volunteers. Read more concerning this new status in Past, Present, and Future. For more detailed information, we invite you to peruse our website. If you don’t find what you need, feel free to Contact us by email. We also invite you to follow us on Facebook. What is the schedule for Pre Festival classes and set up activities? The following is the tentative schedule for pre-Festival activities on February 1, 2018. Times and specifics may change as the event draws closer. Are there any materials I can use to publicize the Festival? Yes, thank you for helping us get the word out! You can download and print our 2019 Festival poster or the separate poster advertising the Festival’s evening concerts, which are open to the public. Both posters are available in either black and white format or color format. Go to Festival Posters. 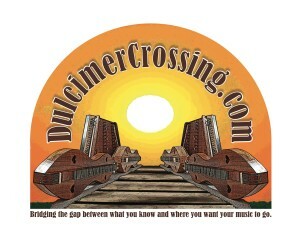 Please also feel free to download and print the logo for the Colorado Dulcimer Festival, LLC. Right click on the image, select “Save image as . . .” and select the directory on your computer in which you want to save the image. Can I or my company/organization sponsor the festival? Absolutely! Thanks for asking. To become a Festival sponsor and have your advertisement on our program and website, please Contact us for more information.